One of the central features of the Olivia Wilde's character "Thirteen" was her struggle with the memory of what a terrible genetic disorder did to her mother... and her tremulous approach to confronting the answers that genetic testing might reveal to her. As Wilde makes her final regular appearance on House, it's a good time to look back at a bit of that history. know. That drive to know everything pointed him on a collision course with Thirteen. In Season Four, it was revealed that Thirteen’s mother had Huntington’s disease. The disease has devastating physical and emotional effects. Those affected often develop symptoms and die in middle age. In “You Don’t Want to Know” (4-08), Thirteen chooses not be tested. 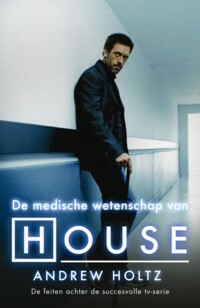 House can’t fathom why she doesn’t want to know whether or not she is probably going to die from the same terrible disease that took her mother. He is so obsessed with knowing everything that he takes a cup that Thirteen was drinking from and has the DNA in her saliva tested. When Thirteen gets an envelope that apparently contains genetic test results, she confronts House about violating her privacy and tosses the unopened envelope into a trash bin. At least House resists looking for himself. Still, it’s obvious that he simply cannot figure out why Thirteen does not want to know her likely future. Over the course of Wilde's seasons on House, her personal struggle with genetic testing and Huntington's disease showed viewers a little bit of what family stalked by this and other genetic abnormalities face in the real world.